the safety nets that are in place to provide support and how earnings will affect your Social Security disability benefits. to explore work, while still receiving health care (Medicare and/or Medicaid) and cash benefits; they are designed to help you succeed! pursue your education, try different jobs, start a career and gain confidence. 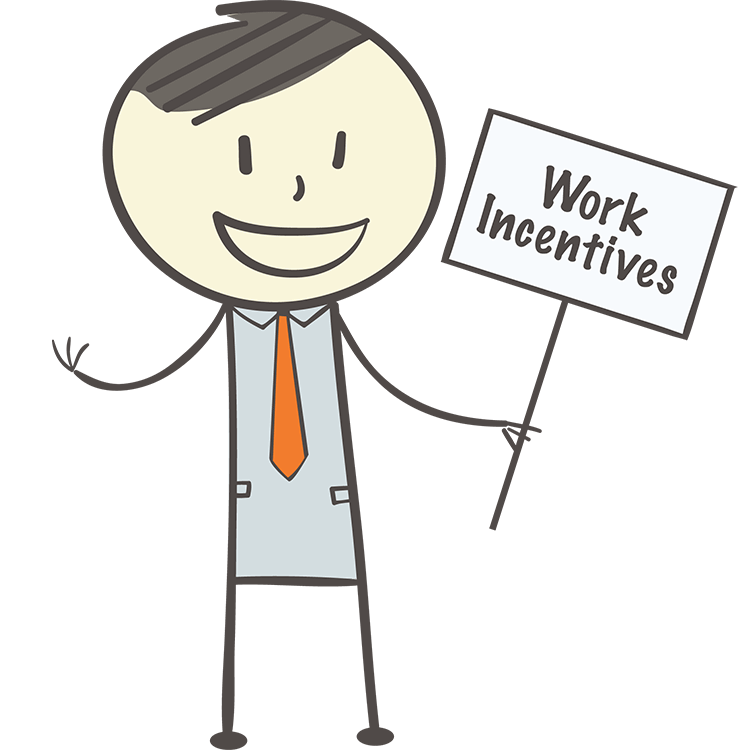 The next few pages will explain some of the Work Incentives that may be available to you depending on the type of benefit you receive.